Providing Boston Blacks and African Americans volunteer and paid opportunities with a research study. SIM LAB researchers at Brandeis University are conducting a psychological study about brain functions. The study seeks Black and African American participants because it hasn't been able to get the number of people of color to join that it needs. We think you will find the study interesting. We posted this study October 5, 2018. People were losing hope and control over their lives according to media and public sentiment. Many of Boston's people are overwhelmed with stress. This shortens their life span. Boston must demonstrate how it is improving health care for every person in every zip code. How long you live and the quality of your health and life is determined by what zip code you live in. This matters more than how much money you make. There can be a 15 year difference in the lifespans of people who live in zip codes a mile from each other. Dr. Anthony Iton of the California Endowment for Healthy Communities has $1B to improve the health of his state's residents. Vanessa Mason of P2 Health Ventures is a data expert working to fix community health inequities. Both believe you can eliminate health inequities through the design of intensive, multi-sectoral, place-based interventions that are specifically designed to identify existing assets and build social, political and economic power among a critical mass of community residents in historically under-resourced communities. He's talking about putting things like water, food, recreation,art and these kinds of quality of life items into place -- to spend more on social services than health care. VIDEO| how to dismantle health inequities. "He was filled with this talent beyond comprehension" Patti said when she heard Luther Vandross sing the for the first time. They had met in a recording studio. In New York, they referred to Patti as the “Queen of Studio” for her singing abilities. When she arrived on set to work for Randy and Michael Brecker with her supreme vocals skills, Patti said she was surprised when the producer informed her she would not be doing the vocal arranging for the songs this time. They told her a new guy is coming to do this. She said it was one unforgettable session. “In walks in this very shy, sweet young guy calling me Ms. Austin,” she said. He was Luther Vandross. “ I smiled even though I was miffed that this guy was doing the arrangements on the vocals when I saw him” she said. This moment created a lasting friendship. “Another thing that bonded me to Luther was our weight issues,” she told me. The two dialed each other often. “When touring, if we were in the same city, we attended movies together.” “He would usually pick some silly movie like [Scary Movie]” she said, expanding on the personal side of their relationship in a loving, humorous way. Patti told me her mother and her dearest friend, the late great Luther Vandross, both passed away due to a stroke, so when she was asked to sing for the second Luther Vandross tribute album and also was asked to become one of the spokespersons for the project, she said Yes! The FOREVER, FOR ALWAYS, FOR LUTHER Vol. 2 album provides a portion of its profits to financially support the efforts of the Luther Vandross Foundation; the American Heart Association; the American Divabetic Association and the “Power to End Stroke” campaign, a health awareness project. Their programs educate everyone and especially African Americans about the dangers of stroke and diabetics. After Luther passed away in 2004 from a stroke brought on by diabetes, Patti said she knew it was time to change her own way of living and eating. She told me about a visit to a doctor for a knee injury she had in Italy. The doctor advised her to consider gastric-bi-pass surgery. News of this had a big impact on Patti Austin– it literally changed her life. Today she is happy to share that she is living a much healthier life by eating better and exercising. Patti Austin wants to share with the world that the surgery was not "the easy way out" like most people think, She underwent months of learning about how to eat better and the mental aspect to being overweight. She is proud to be the Spokesperson for the "Power to End Stroke" campaign to educate people about the importance of living a healthy lifestyle. An all-star Forever, For Always, For Luther tour is being scheduled for Spring 2007 and in February 2007, a major concert and fundraising telethon is planned in Washington, D.C., to raise funds for the American Heart Association’s Power To End Stroke campaigns as well as the Luther Vandross Foundation. In addition to the awareness of stroke, the campaign strives to encourage individuals to call the American Stroke Association at 1-888-4-STROKE or visit www.strokeassociation.org/power. 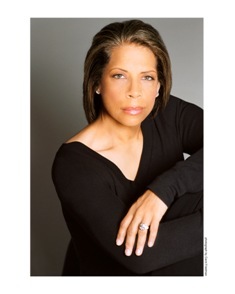 Patti Austin who often recorded with Luther, will be one of the project’s spokespersons. An all-star Forever, For Always, For Luther tour is being scheduled for Spring 2007. Also in February 2007 a major concert and fundraising telethon is planned in Washington, D.C., to raise funds for the American Heart Association’s Power To End Stroke campaign as well as the Luther Vandross Foundation. On April 16, 2003, Luther Vandross suffered a catastrophic diabetes-induced stroke that left him in a coma for several weeks. Thankfully in the long, hard months of rehabilitation, the man whose voice and songs had given sunshine to millions all over the world experienced the same via four Grammy® awards in February 2004 and the Verve/GRP all-star smooth jazz tribute Forever, For Always, For Luther the following July. A month later, the label partnered with the American Diabetes Association in an innovative fund-raising and awareness campaign: “Send A Love Letter To Luther.” Sadly, Luther, the greatest ‘pure’ American male pop vocalist since Nat King Cole, passed away on July 1, 2005. Forever, For Always, For Luther Vol 1. would go on to scan 115,000 units, garner a #1 Urban AC single, a #1 and Top 5 Smooth Jazz single and a 2005 Grammy® nomination for Best Pop Instrumental. Take the stroke pledge to begin the journey to reduce stroke risk Receive free information about African-Americans and strokeFind out how to reduce stroke in the community through the Power To End Stroke campaign. The goal of the American Stroke Association, a division of the American Heart Association, is to reduce disability and death from stroke through research, education and advocacy. In its 2004-05 fiscal year, the association spent more than $151 million to support stroke research, education and public advocacy.